So for last year's anniversary, our 46th, we were at Yosemite National Park. 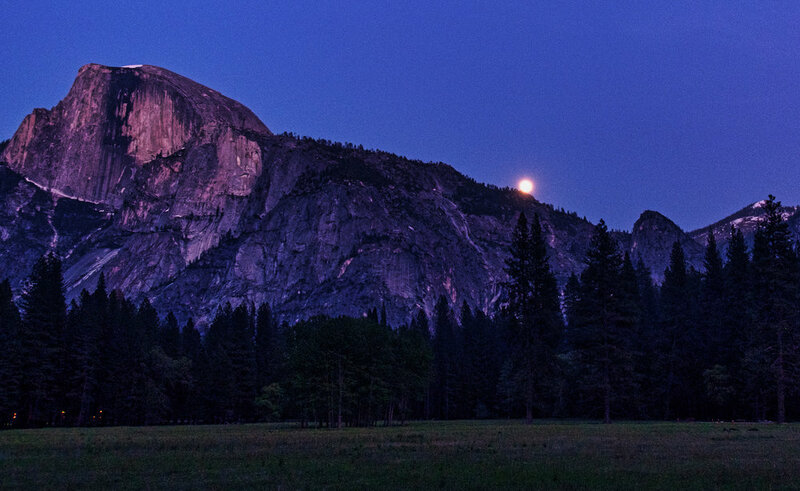 This shot of the moon rising over Half Dome was done the evening before and on May 8th we enjoyed a day of hikes, amazing waterfalls, and dinner at a beautiful lodge - just a perfect evening. So, how do I top that this year? Well how about a Waypoint Director's meeting in South Boston, VA. Wow. I am blessed to share life with one who can make a nice day out of either. But.... Yosemite would be better! Or Zion, Bryce, Glacier, White Sands, Great Smoky Mountains, Mt. Rainier, Joshua Tree, Arches, Cape Hatteras, Blue Ridge Parkway, Acadia, etc.